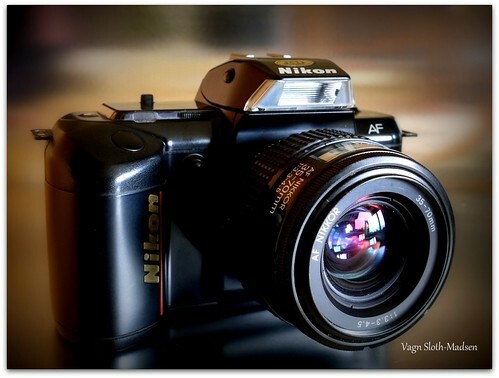 The F-401 is a entry level 35mm auto focus SLR camera manufactured by Nikon in 1987. 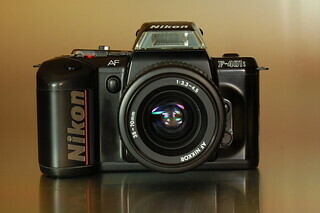 It was marketed as the N4004 in the USA. 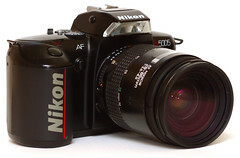 In 1989, another revision with an improve focusing module AM200 was available called F-401S or N4004S in USA. 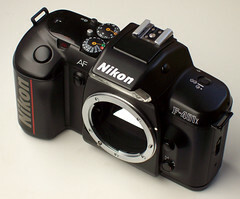 Yet another revision became available two years later F-401X or N5005 in the USA. This revision has extended shutter speeds for up to 30 seconds of exposure but still tops out at 1/2000 of a sec. 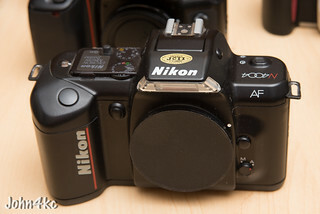 The cameras are powered by 4x AA batteries. This page was last edited on 26 March 2016, at 00:06.